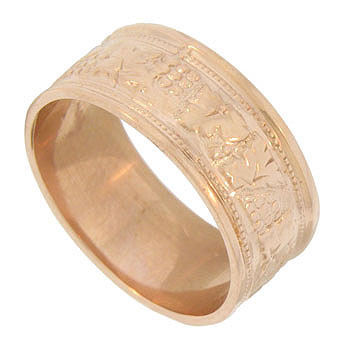 A tumbling pattern of grapes and leaves adorns the surface of this 14K red gold wedding band. Distinctive milgrain and smooth polished bands frame the central design. 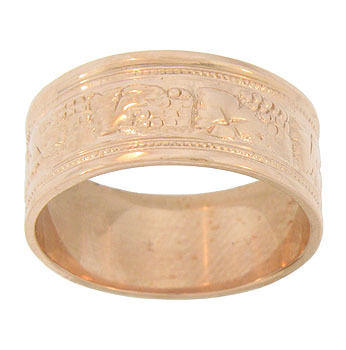 Fashioned from an antique Civil War ring this warm rose gold band measures 8.11 mm in width. Size 6 1/2. We cannot re-size.